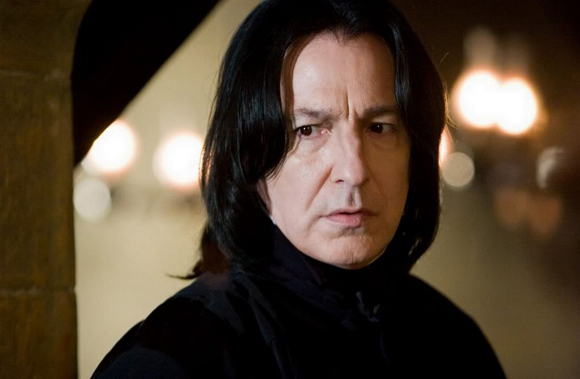 Actor Alan Rickman is best known for playing Severus Snape on the big screen in the "Harry Potter" series. When seeing the final movie, I heard sniffles from around the theater when his character died. Even more so, cries can be heard around the world with the passing of the actual man. On Google+ this morning, Daniel Radcliffe memorialized his friend and former costar, calling him "one of the loyalest and most supportive people I've ever met in the film industry." Radcliffe said, "People create perceptions of actors based on the parts they played so it might surprise some people to learn that contrary to some of the sterner (or downright scary) characters he played, Alan was extremely kind, generous, self-deprecating and funny." "Working with him at such a formative age was incredibly important and I will carry the lessons he taught me for the rest of my life and career." Rickman used his celebrity status to do good in the world. The Daily Mail reports that Rickman was an active patron of the charity Saving Faces and was an honorary president of the International Performers' Aid Trust, a charity that alleviates poverty in some of the world's toughest conditions. Most recently, only a couple months before his death, Rickman backed the UK-based campaign Equality for Mental Health, which calls for an increase in funding for mental health services. The petition, signed by Rickman, urges the British government to treat mental health illnesses with the same attitude as they do physical illnesses. Today, I signed the petition in memory of Rickman. And I encourage everyone to keep his memory alive by electronically signing this letter or by donating to one of the many organizations that he supports. Even though he is no longer on this earth, it's up to us now to continue his legacy in changing the world.